It was back in my university days – possibly 2002-2003 ish. I had already played Baldur’s Gate by Black Isle and I’d had a bit of trouble getting used to how it worked and the combat system, which the game seemed to rely on a lot. One day I found Planescape Torment, from the same studio. I had heard good things about it so I gave it a go. I fell in love with it almost immediately. Not only was it a lot more forgiving than Baldur’s Gate – if you died you simply came back to life almost immediately – but it also had a deep and rich storyline and gameplay which rewarded conversation and puzzle-solving as well as fighting. I enjoyed the wide variety of characters – some a lot different than what you would expect in a traditional RPG – and the city of Sigil was an amazing place to explore, with its weird and wonderful locations. Wow. Just wow. And this is just the first screen. Why am I telling you this? 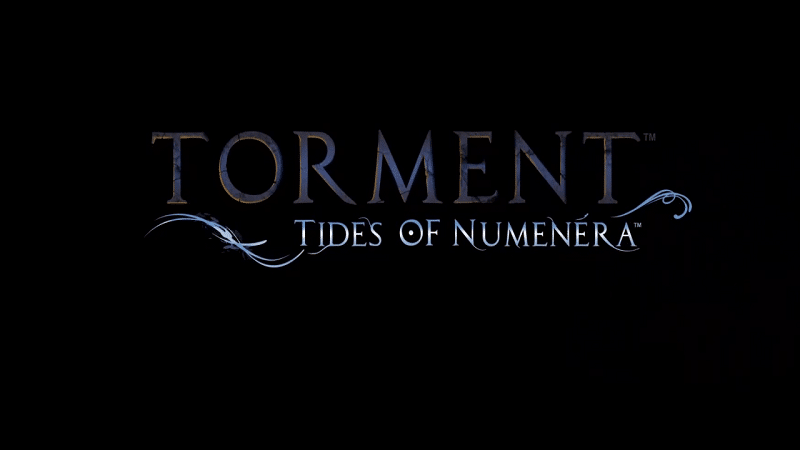 Well through Final Boss Fight I have been given the opportunity to play the spiritual successor to Planescape: Torment – Torment: Tides of Numenera. When I heard that we had been offered a copy for review I was very keen to have a go. 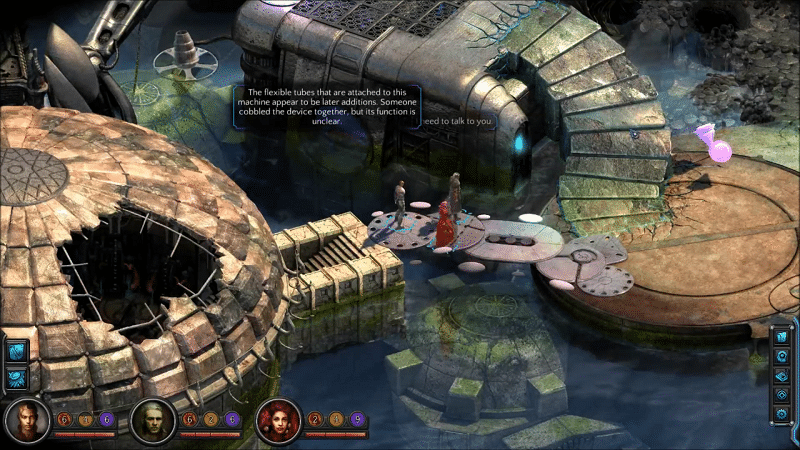 The game, developed by InXile Entertainment and published by Techland Publishing, promised a rich and involving storyline and a diverse cast of characters. I couldn’t wait and played it the first chance I had. Within a few minutes of playing I saw that this was something unique. 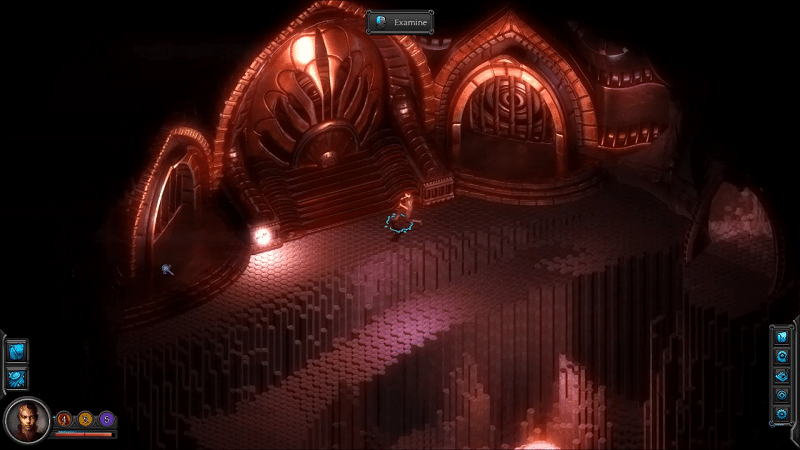 Sure, it had the familiar isometric top down view, but the way it presented the player character was completely new. 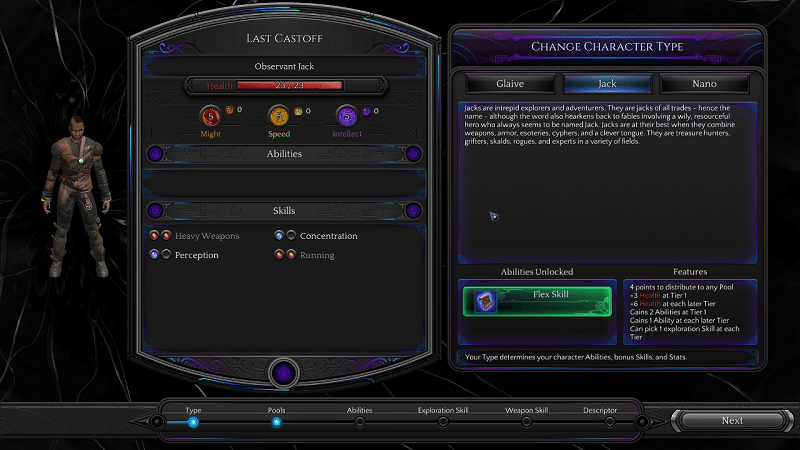 Rather than start off with the traditional character creation – class, ablilites, etc, Torment gives you situations and uses your responses to build up how you might want to play. It then gives you a choice based on a likely class type – glaive for warrior, jack for rogue (as in jack-of-all-trades) and nano for wizard. After this it gives you the more familiar screens you can use to fine tune your character or change your mind if you wish. Then it introduces you to the combat system, in a very spectacular way. This is an epic first combat! 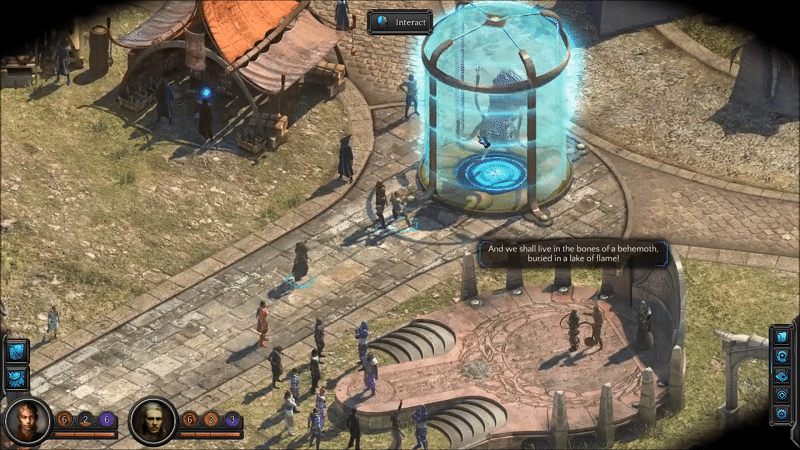 Combat encounters are turn-based affairs called “Crises”. 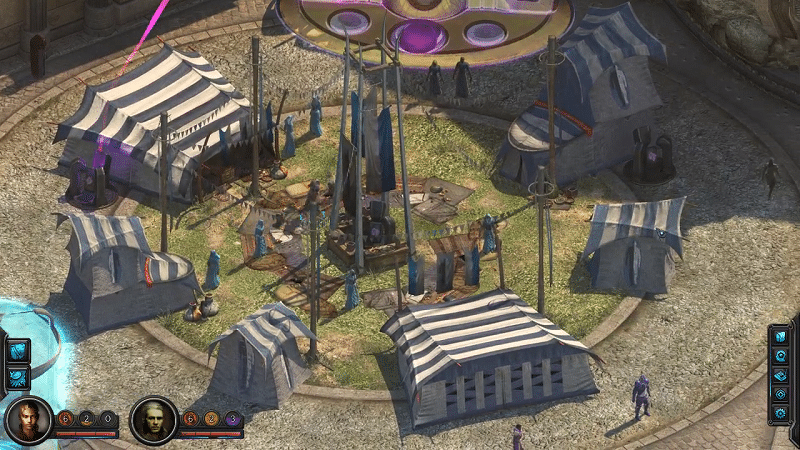 You get two actions per turn – move and attack – along with the opportunity to use items or equip new weapons. What I liked about it was that the actions are used seamlessly. For example, I was instructed to click on a target to attack it and my character moved and attacked in one action rather than moving next to the target and then clicking to attack. Similarly, when I was told that I could use my attack action as an extra move action, it only took one click to move to the designated area rather than two separate clicks. 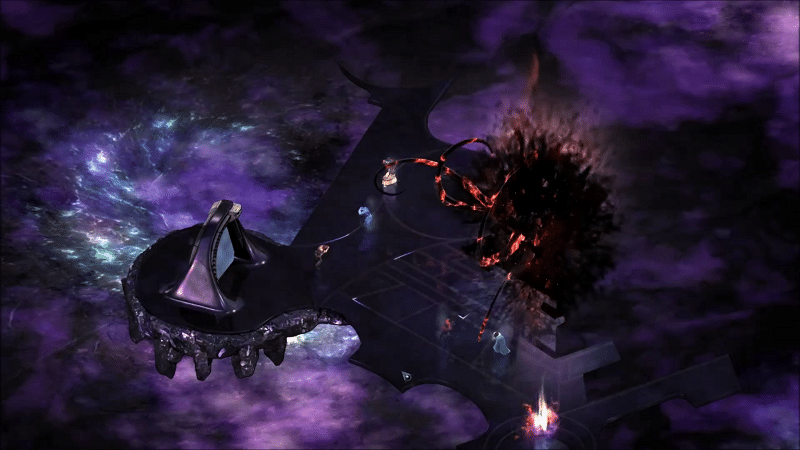 Status effects – called “fettles” were also introduced and the animations were smooth and enjoyable to watch. But I’m the sort of player who gets more satisfaction from avoiding fights, whether through conversation or through puzzles, and this is where Torment really shone for me. Shortly after completing the tutorial area I was confronted with four rather unsavoury looking persons. By using skill checks I was able to persuade them to let me pass, netting a decent chunk of experience points into the bargain. The way skill checks work is interesting as well. You have a base probability at succeeding at a particular task, and you can spend points of might, speed or intellect as appropriate to increase those chances. The more points you spend, the higher the probability. The downside of course is that you only have a limited amount of those points which you can replenish through potions or through resting. As I played on for a bit I found myself running out of intellect – my most useful resource – and suddenly I found I wasn’t able to succeed as often. Of course there are other ways to proceed and the game does tell you that sometimes it can be more advantageous or interesting to fail rather than succeed. I don’t want to talk about the story here as I believe stories in general are better experienced first hand. If you really want to know however I’d recommend viewing the videos of the game on our Final Boss Fight Youtube channel. What I will say however is that the world is amazing. The author Arthur C. Clarke famously said that any sufficiently advanced technology is indistinguishable from magic and that is something that really applies here. Everywhere you look you can see the remains of a highly technological civilisation – some of the relics are functional and useful, these are known as “numenera”, and some are just broken junk. Everywhere you look there is something different to see and play with. A lot of it is relevant to the story, as they unlock memories for your character to experience. These build up not only your skills, but also who you are. There are a huge number of different characters and situations to see, most notably a unique form of execution that lasts for days and is pretty gruesome to watch. It all comes together to create a unique and absorbing game. Something else I want to mention is the music. As I have said before on countless occasions, I love music in games. For me they make up a significant part of the experience. And Torment is no different. Right from the title screen I knew that the music in this game would be something special and fitting to the world and the story. I say this on the videos but if there is a soundtrack for this game available I will definitely be buying it. 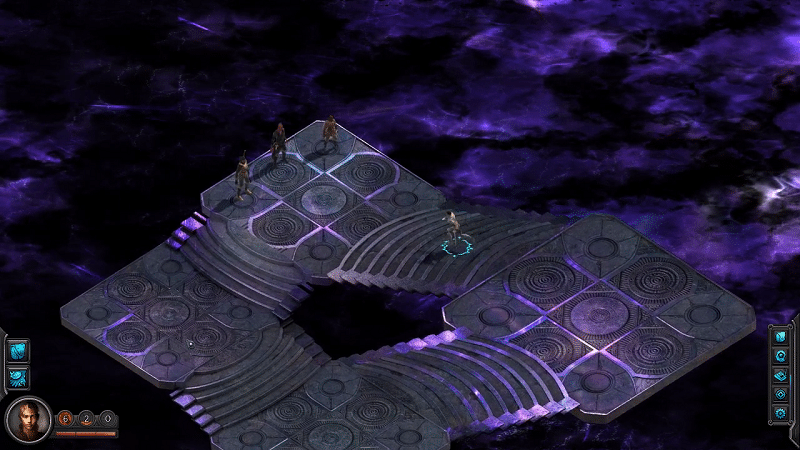 In summary, Torment: Tides of Numenera more than lives up to the promise it made of being a successor to Planescape: Torment. It’s definitely a game you should look into if you like the older style D&D games like Baldur’s Gate, Neverwinter Nights or even Planescape itself. If you like deep stories with unusual settings, characters and creatures or games where the emphasis isn’t so much on action as it is on thinking and talking then you should also check it out. I’m certainly planning to spend a lot more time there, just as soon as I can figure out how to zoom the screen when I don’t actually have a middle mouse wheel – one of the downsides of using a trackpad! See you on the Tides!